How are legacy news organisations dealing with the business of digital news? How are they addressing recent developments such as the rise of social media, the move from desktop internet to an increasingly mobile web, and the growing importance of online video? A new Reuters Institute report explores how 25 different newspapers and commercial broadcasters in six European countries are adapting to an evolving media environment. 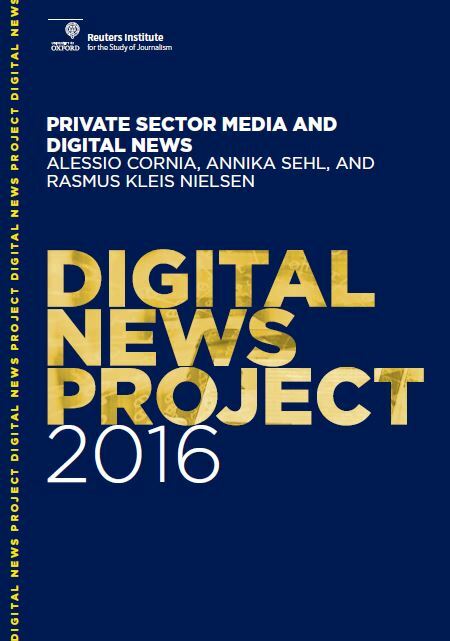 Based on 54 interviews conducted with executives, senior managers and editors in Finland, France, Germany, Italy, Poland, and the UK, the report shows how legacy news organisations are investing in a wide variety of digital news initiatives to reach new audiences and build new business models, but most of their revenues still come from traditional print and television operations, even after almost 20 years of investment in digital news.